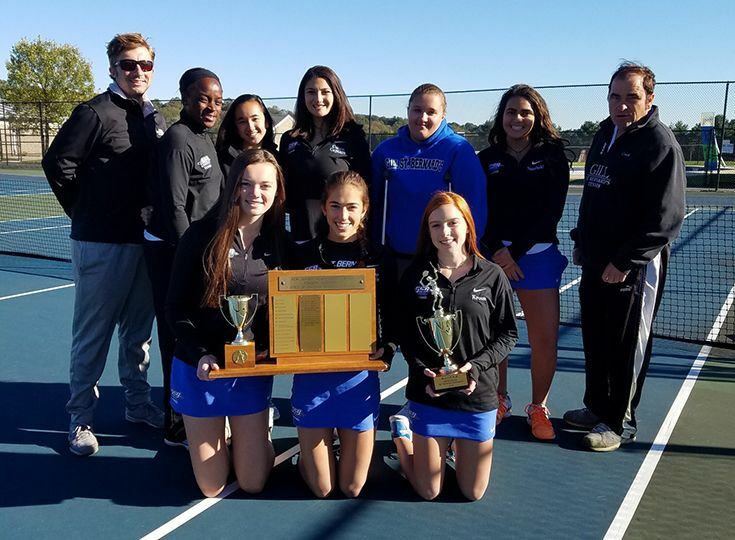 The girls’ tennis team won its fifth Prep B championship in program history and its first since 2010 on Wednesday, October 17, at the Garden State Tennis Center. Three Knights won individual titles to help Gill capture the overall team championship. Baker, Mayjah Jean-Pierre ’21, and Michaela Kroon ’22 all took home gold medals to help lift Gill to its first girls’ tennis Prep title in seven years. Michaela Kroon ’22 took home the title in third singles. She was the sixth seed heading into the tournament, which admittedly surprised her since she had only dropped one match all season, but she did not let her ranking affect her play. With all three Knights coming back next season, the future certainly looks bright for the girls’ tennis program here at Gill.